Ocarina of Time 3DS has its fair share of glitches, some of which are brand new, and some of which have existed since the original. Are these oversights on the part of the Grezzo programming team or the Mario Club? Some may be, but many were intentionally left in to keep the “taste” of the N64 classic alive in this new game. 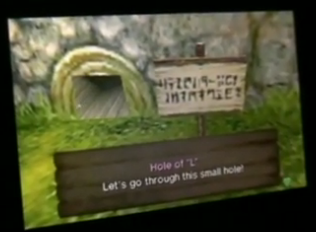 Grezzo programmers reveal this and more in the newest Ocarina of Time 3D Iwata Asks interview. Satoru Iwata: Yes, that is an area of conflict. Moriya: It wouldn’t be fun if your friends couldn’t say, “Do you know about this?” So we left them in if they didn’t cause any trouble and were beneficial. Iwata: So you implemented them as you would specs, rather than treating them like bugs. It took some work and you had to go out of your way, but you preserved the spirit of the original. Moriya: Yes. If something simply could not be allowed to stand, we begrudgingly fixed it, so some bugs don’t appear, but we left in as many as we could, so people will grin over that. While I have fallen victim to a harmful bug that forced me to power down and lose some data, I think it was a good decision to leave in the fun ones. Bugs like entering Jabu-Jabu’s Belly as an adult and leaving Kokiri Forest early spark discussion about the game and add a ton of replay value. Have you noticed any bugs that seem like they were intentionally left in? How does that affect the game for you? Let us know in the comments. Go ahead and read the full interview in the link below if you haven’t already. They talk a lot about working with the original team, as well as adding new things like the hint movies and Master Quest.